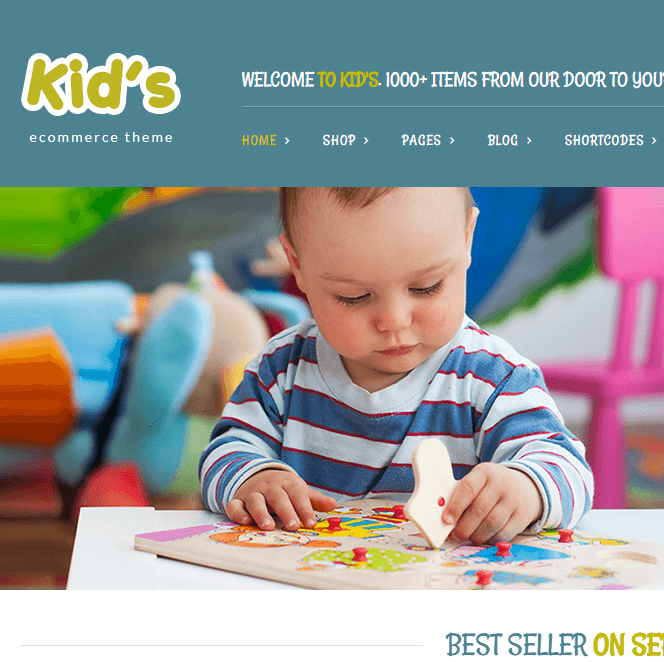 Kalista-WordPress theme for Kids E-Commerce Store. 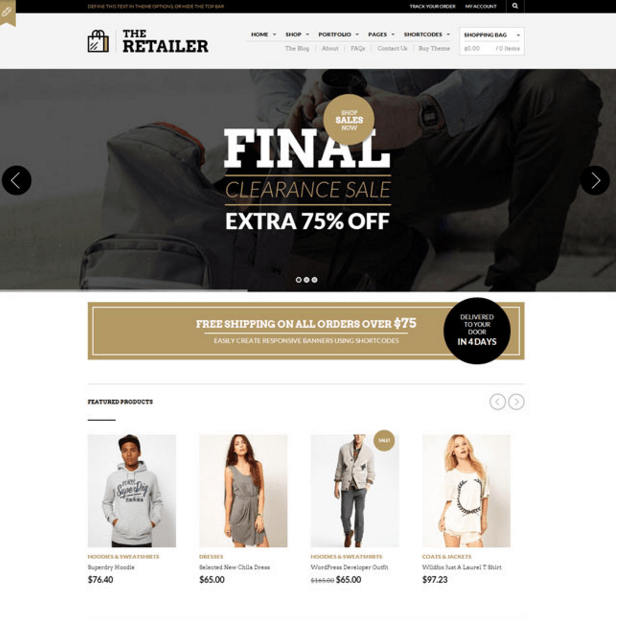 Kalista is a WordPress theme which focuses on the kids online eCommerce store website and Educational Website. It uses bright and colorful effects to showcase your product and gives the nice kid’s appearance of the products. 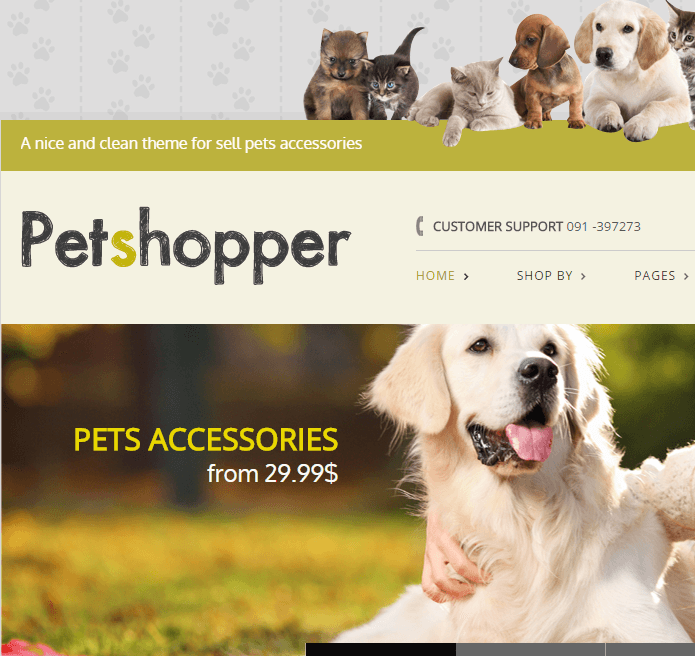 This theme provides the multiple features like pages with visual composer by using this you can easily manage your website pages from visual composer, for using no coding knowledge is required just you need to drag and drop the elements and create your kids online shopping web site. It is fully compatible with WooCommerce plugin, WPML for multilingual and Multi-language support, Contact form 7 plugin for personal interaction between site owner and visitors. It comes with inbuilt stripe payment gateway which is used for online payment from the buyer of the product and provide the Mailchimp subscriber widget and add-on to give the mailing service to visitors. 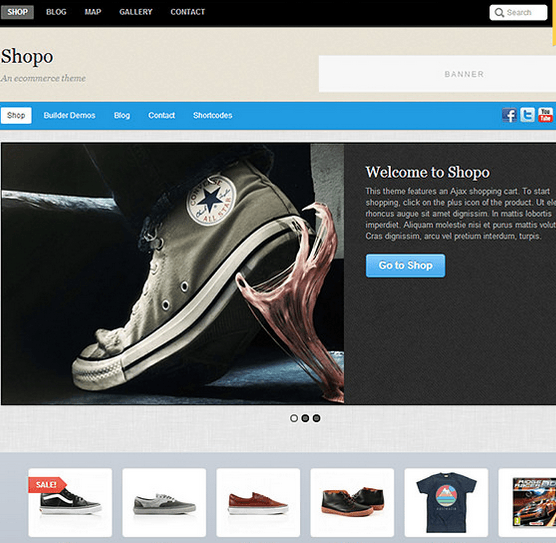 This theme provides the easy theme option panel for customization of the site content and images. This theme Provides you with some of the important premium plugins and saves your $133. It includes Visual Composer Page Builder worth $34. Similarly, Revolution Slider – saves $19. Uber Mega Menu – saves $19. Woo Currency Switcher – saves $20. Stripe Gateway – saves $29 and Templatera – saves $12. 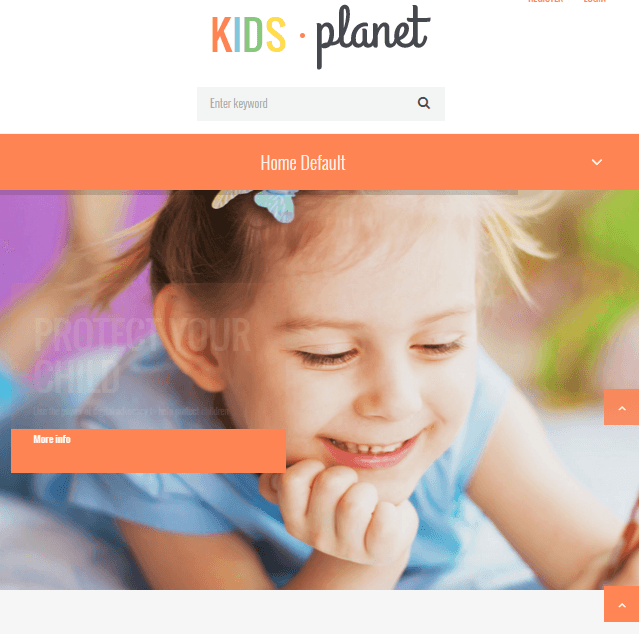 Theme for creating kids store. It is integrated with very nice features like Uber Menus, Stripe Gateway, WPML support, Powerful Plugins support which really helps one to design their desired structure. Unique designs and compatibility with latest versions will help you to grow even more. 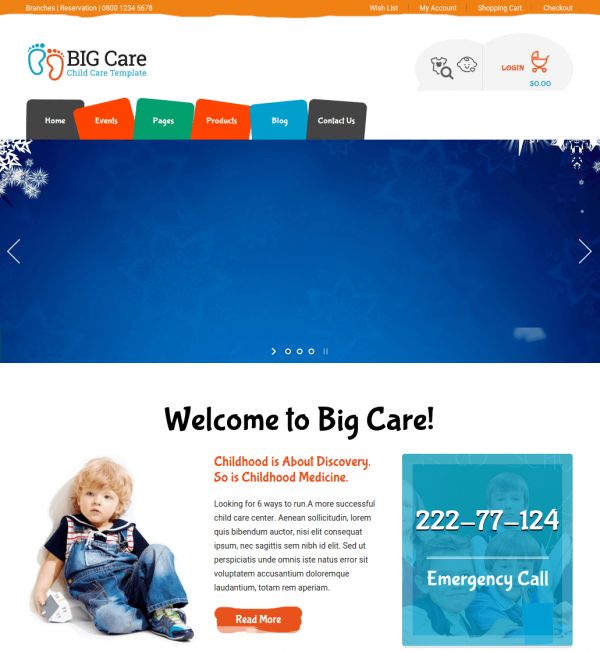 Ecommerce WordPress theme specially build for children stores.